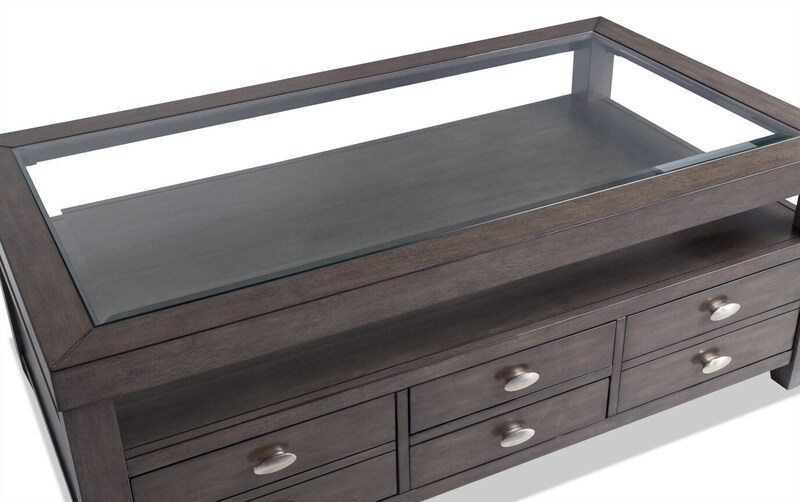 This beveled glass top set has it all. 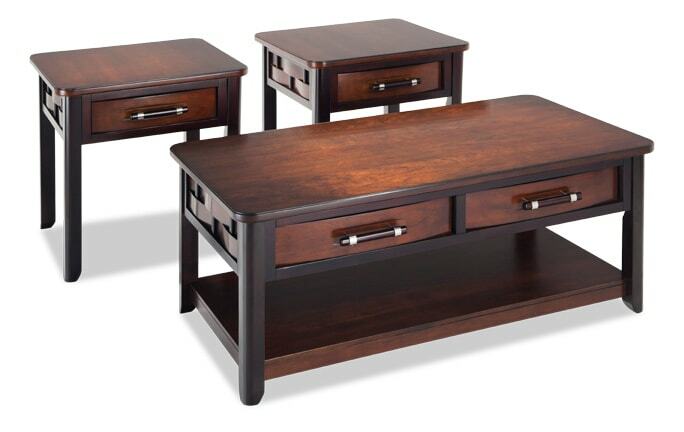 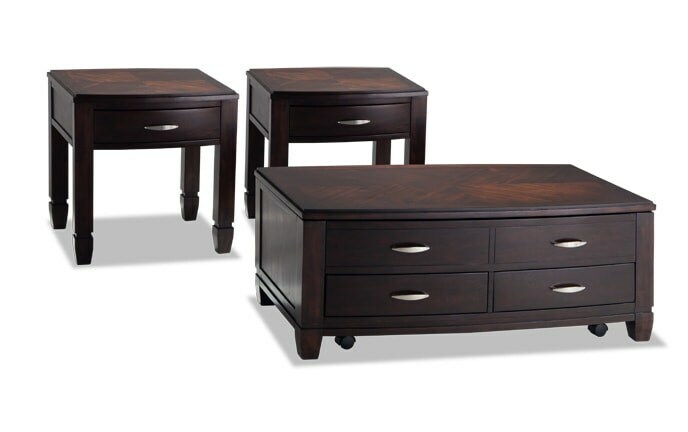 It's an honor to put my Prestige Coffee Table Set in your living room! 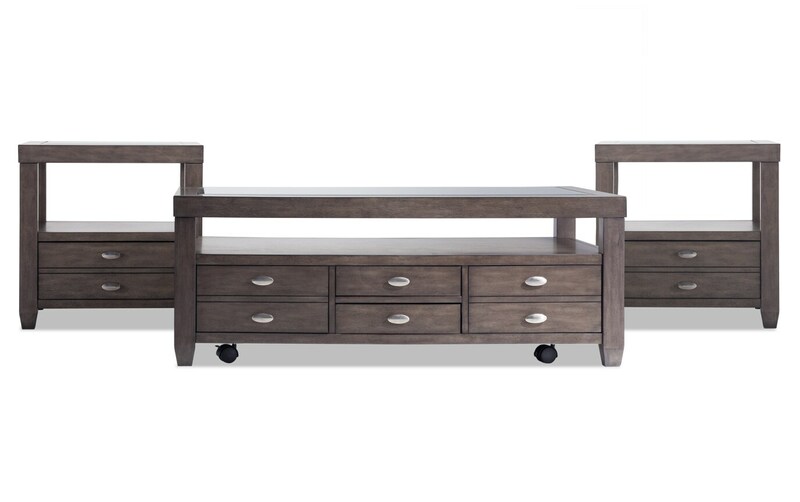 This platinum finish set is worthy of every bit of attention it gets, because it's packed with features. 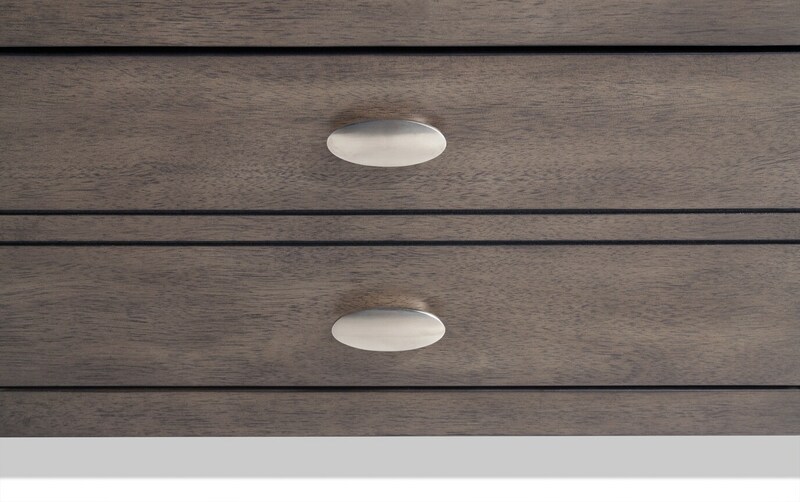 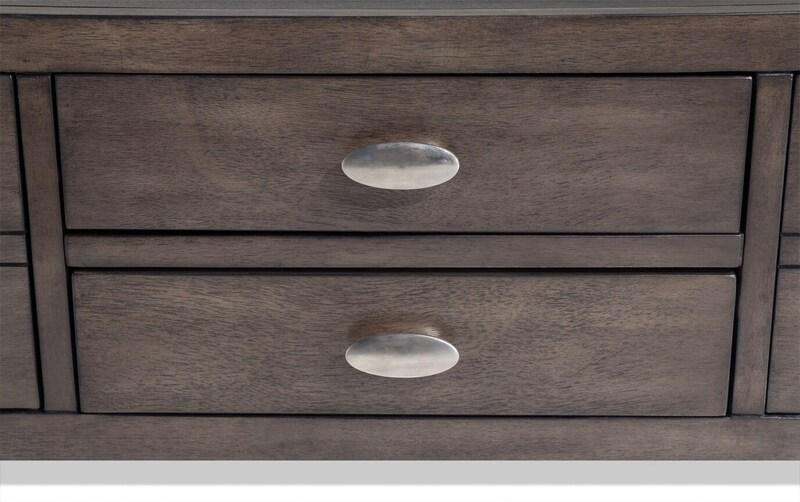 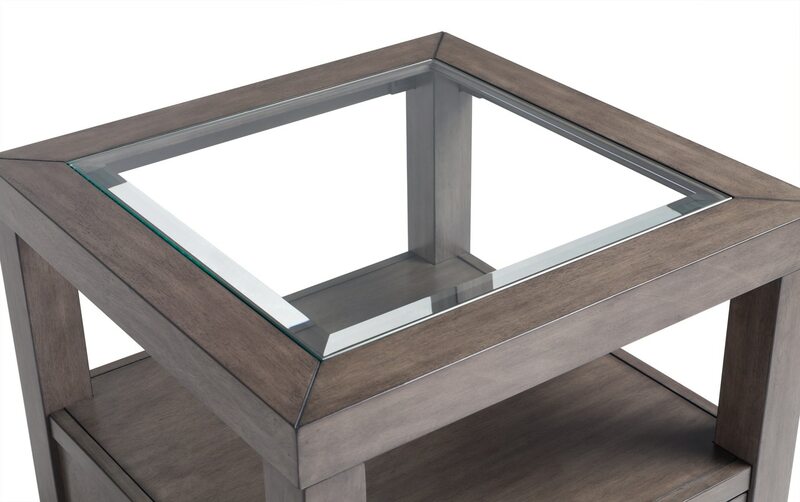 The look is all about the tempered glass tops, with elegant beveled edges on each piece! 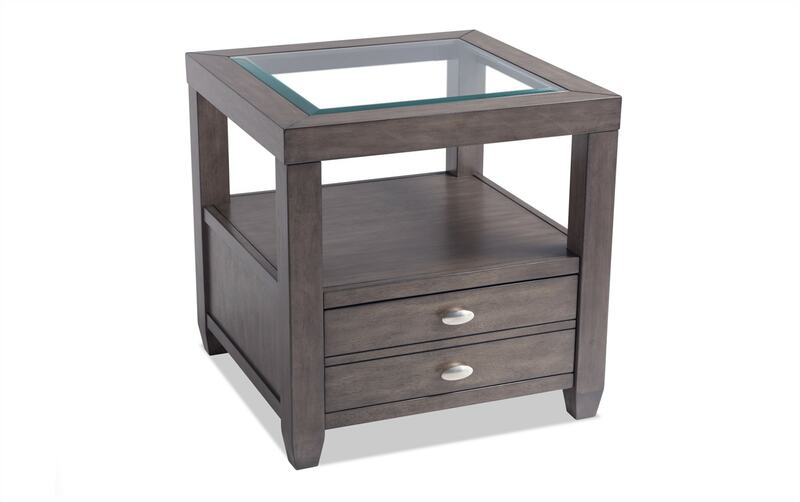 Display shelves on every table offer easy access to magazines, books or games, and there are also spacious storage drawers. 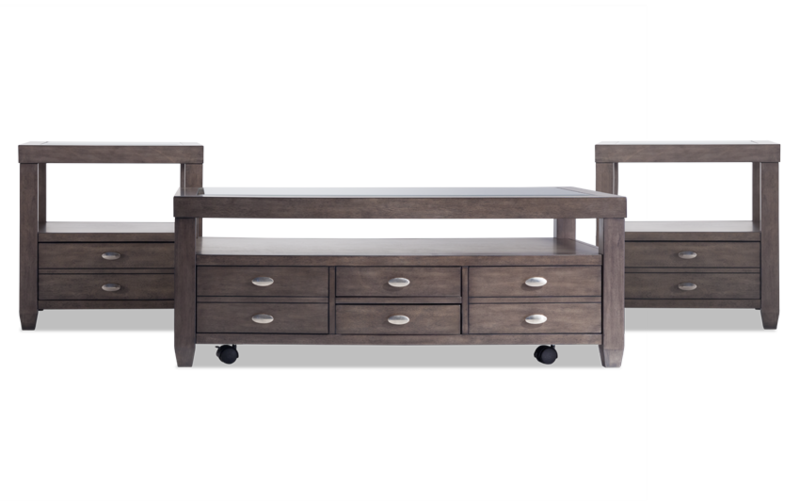 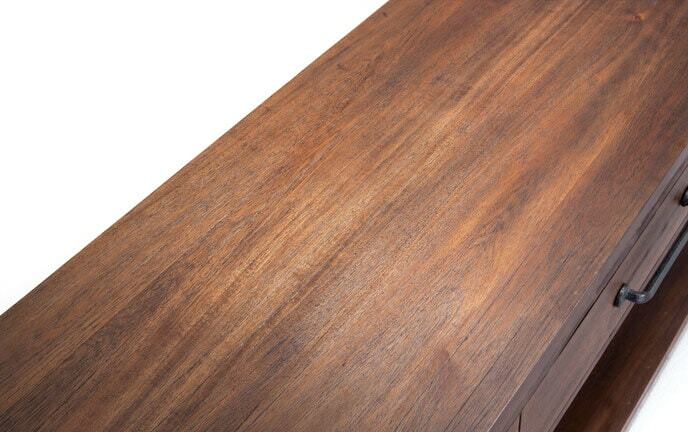 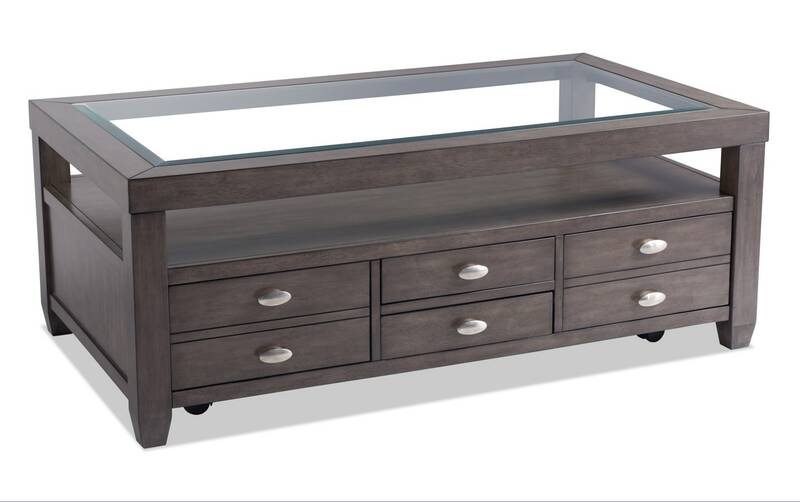 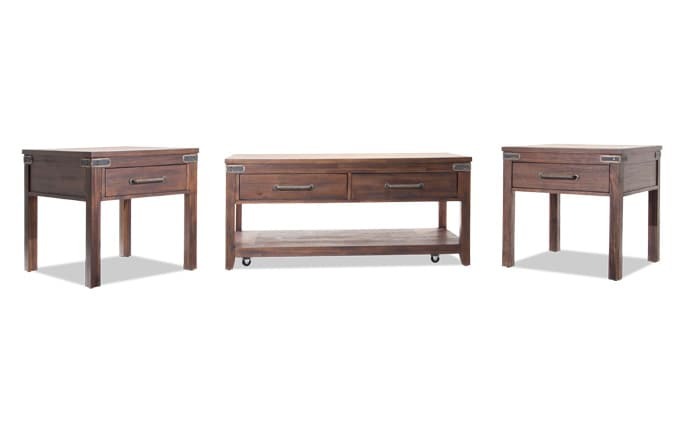 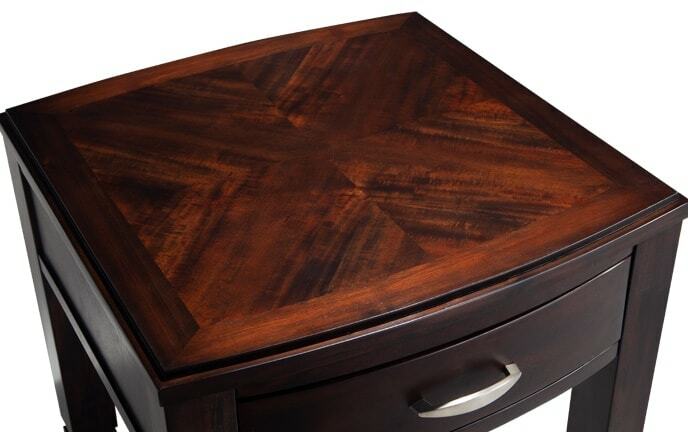 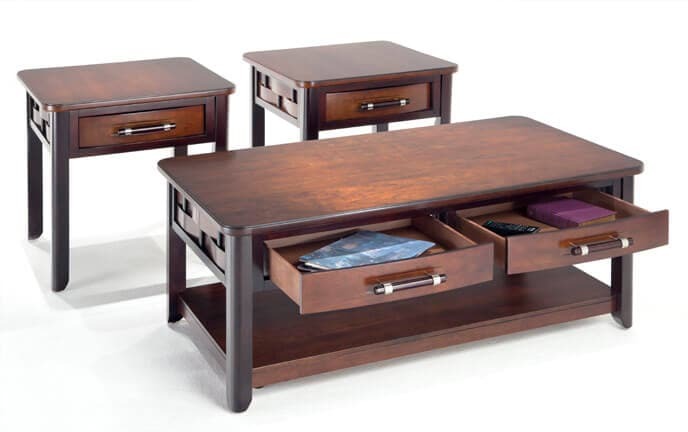 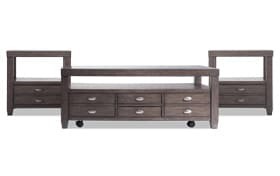 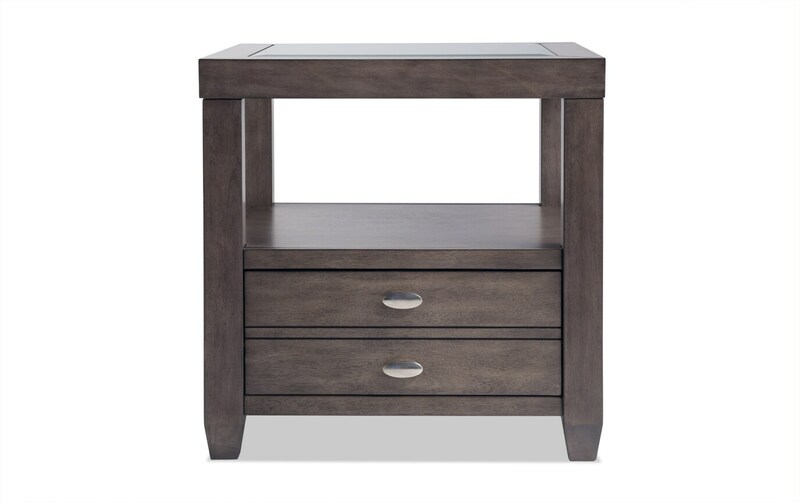 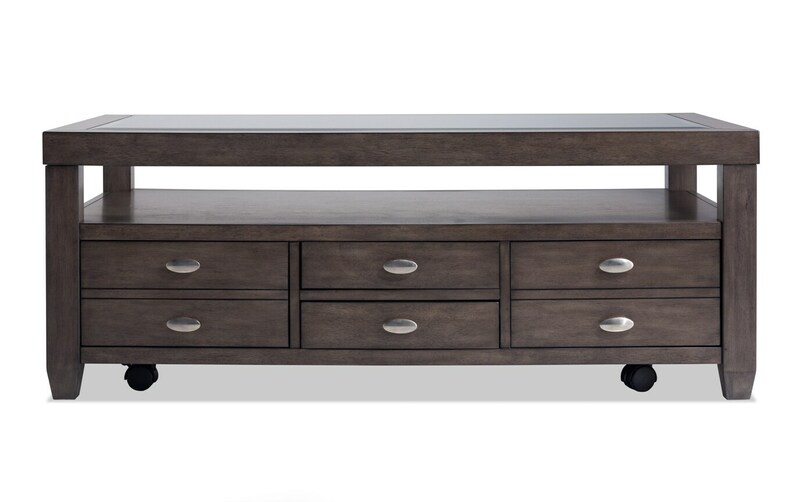 The coffee table even has drawers that fully push through so that they are accessible from both sides, as well as two removable trays that are perfect for serving! 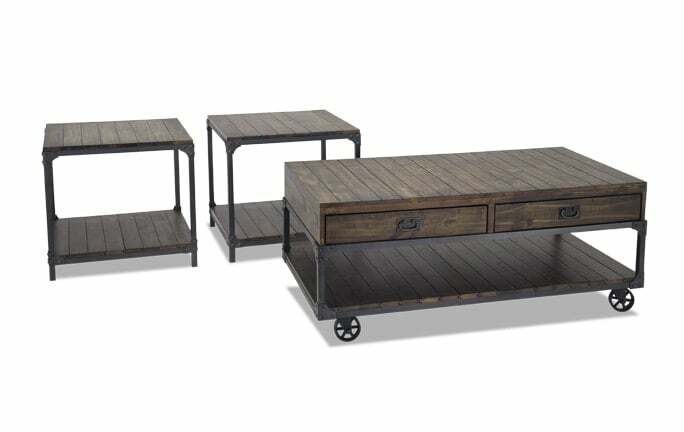 Wow- I almost forgot to mention the casters on the coffee table, making it easy to move around. 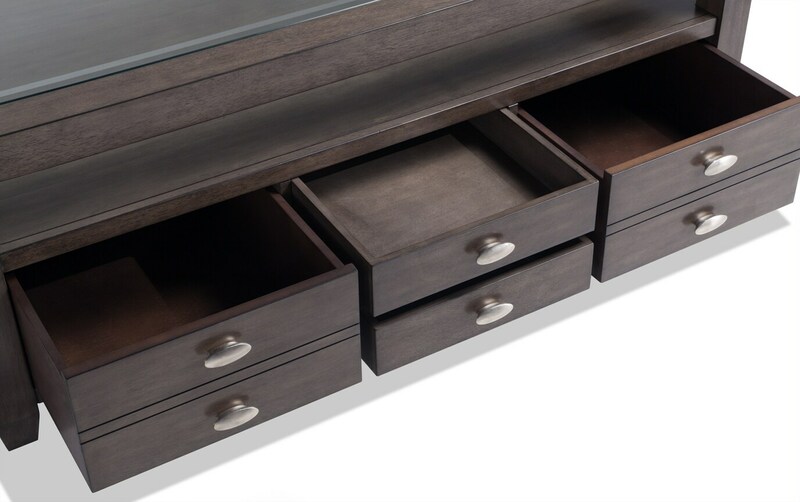 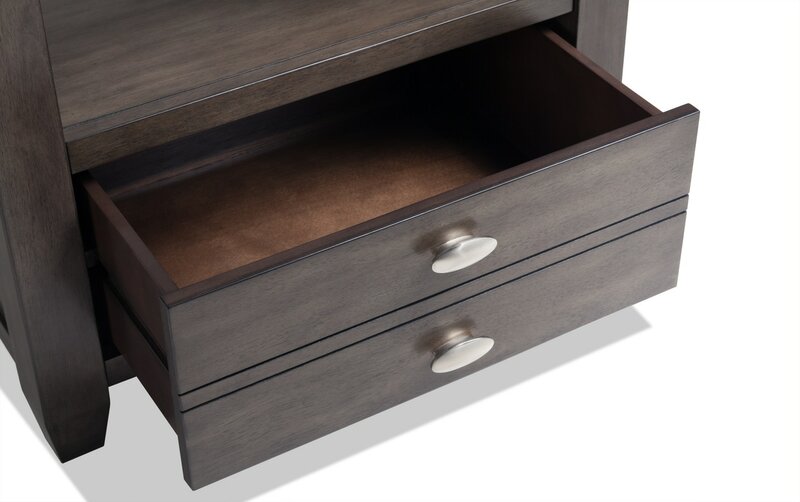 There's nothing better than smart, stylish storage!